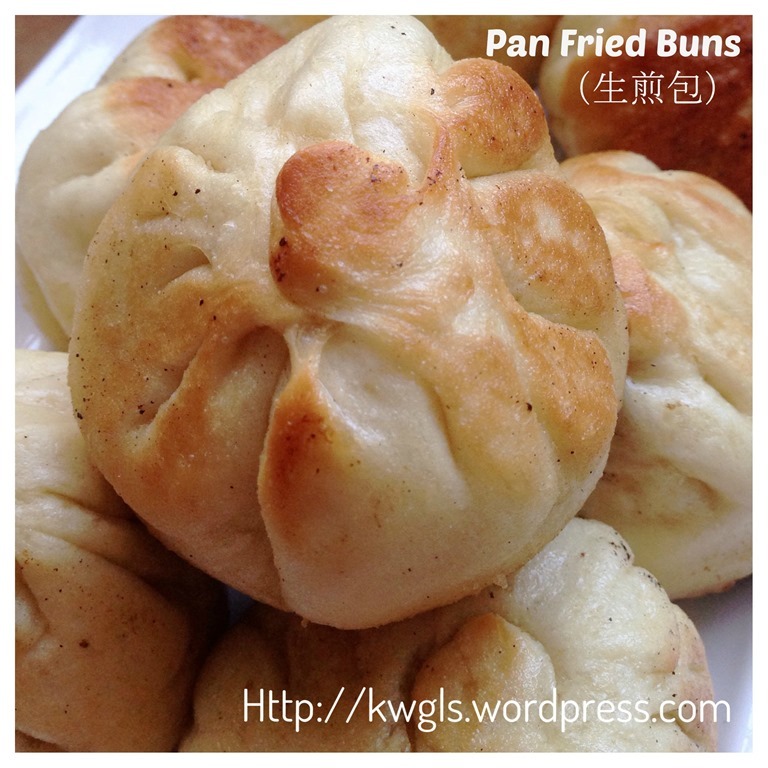 Shenjianbao （生煎包） or pan fried bun is not new to me. 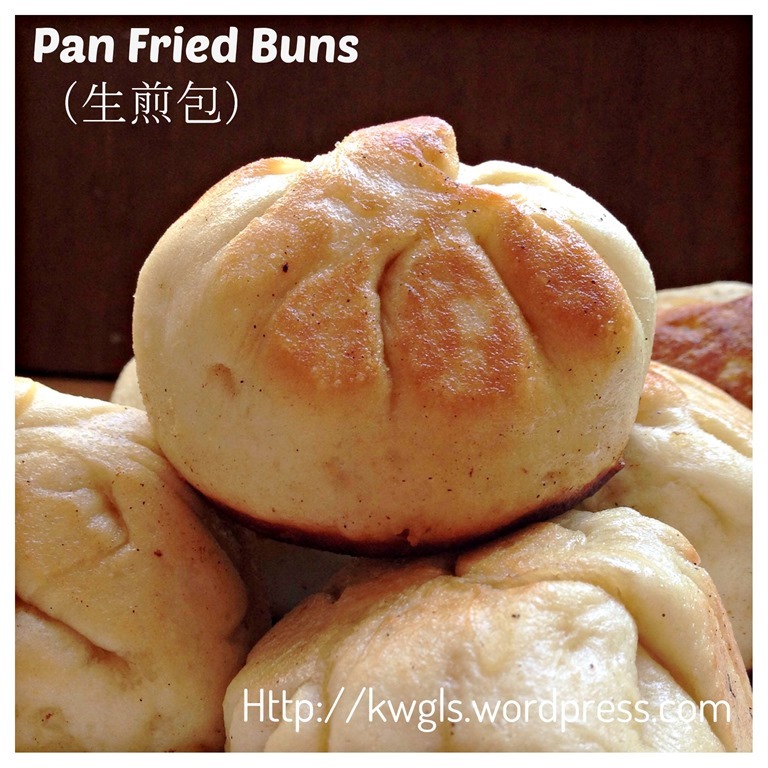 I have my fair share of these lovely buns when I was stationed in Shanghai for two years. 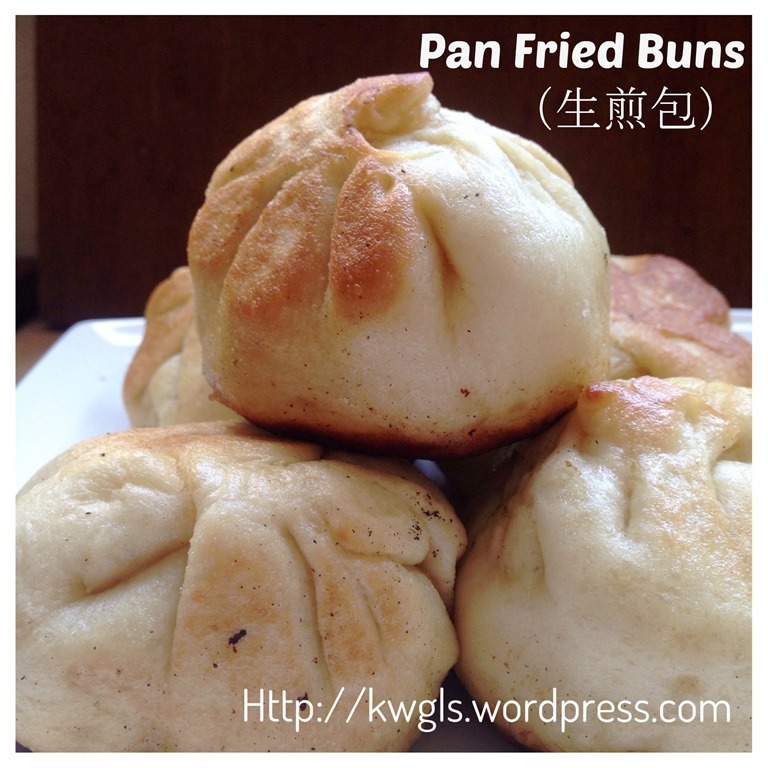 Even after I returned from Shanghai and when I went on business trip to Shanghai, I always went to small lane near the hotel to enjoy these pan fried buns. Every store will be unique in its own unique concoction of filling ingredients. It usually come in a plate of 4 or 5 depending on the outlets, just nice for one person. It was served with red vinegar （红醋） or black vinegar (浙江黑醋）with lots of ginger strips. It is supposed to have a rather crispy bottom and a white coloured bun skin with juicy meaty fillings. Some have it pan fried at sides and some did not. 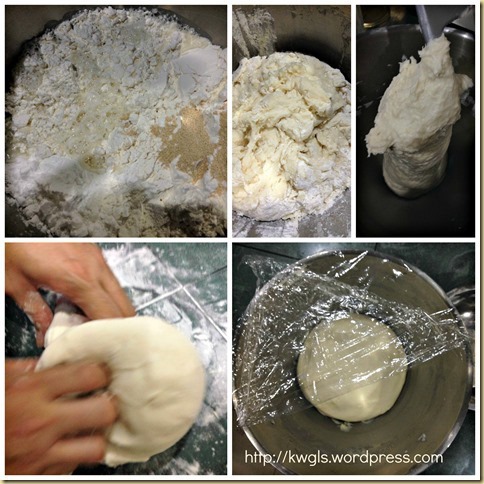 “Shengjian mantou (also known as the shengjianbao outside the Jiangnan region) is a type of small, pan-fried baozi (steamed buns) which is a specialty of Shanghai. It is usually filled with pork and gelatine that melts into soup/liquid when cooked. Shengjian mantou has been one of the most common breakfast items in Shanghai since the early 1900s. 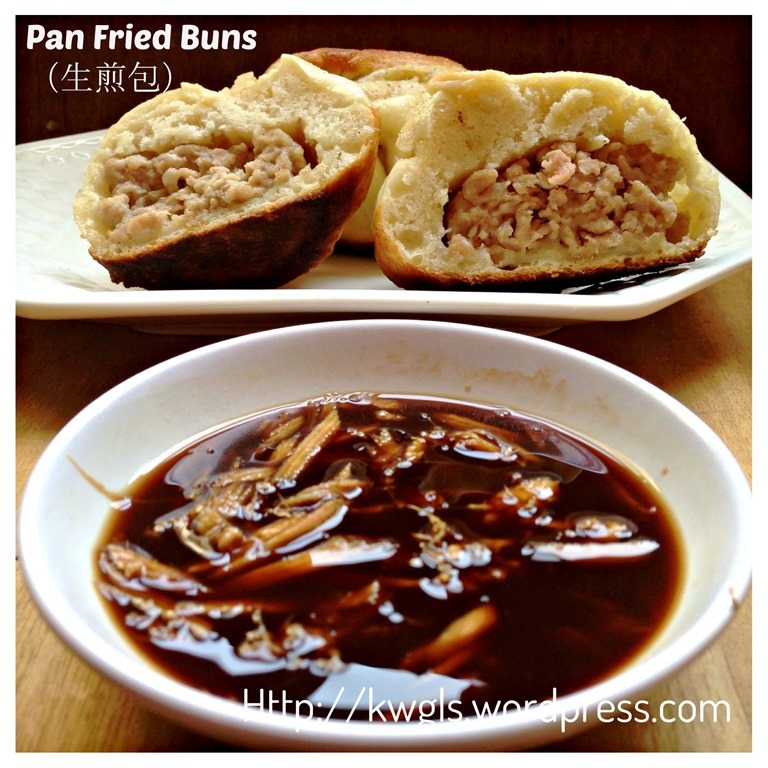 As a ubiquitous breakfast item, it has a significant place in Shanghainese culture. Preparation of this is actually easier than preparing the steamed buns. Some recipe do not even called for proofing but I have decided to proof it for half an hour to get a fluffier buns. The essential ingredient of this bun is the ginger flavoured minced meat. Some recipe called for frozen pork stock (gelatine) to be added but this is not included in this recipe. If you wished, you can boil the pork ribs under medium heat until the water turn creamy. Cool the stock and freeze it in the freezer. Once set, cut the frozen pork stock into small cubes and add to the meaty fillings. 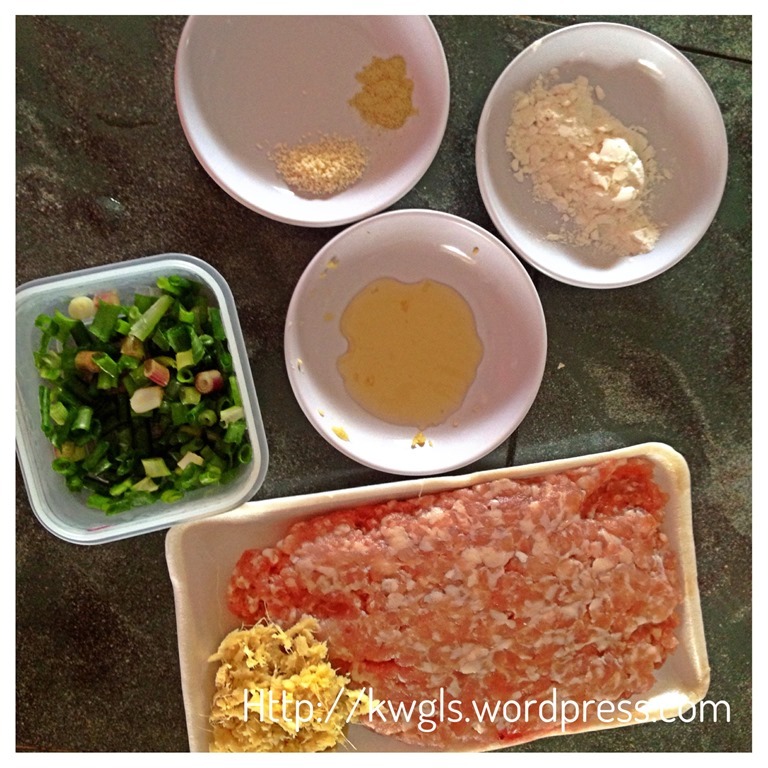 Meanwhile, add in all the ingredients to the minced meat, use a chopstick to stir well and let it marinate for 15 minutes or until your dough is ready. 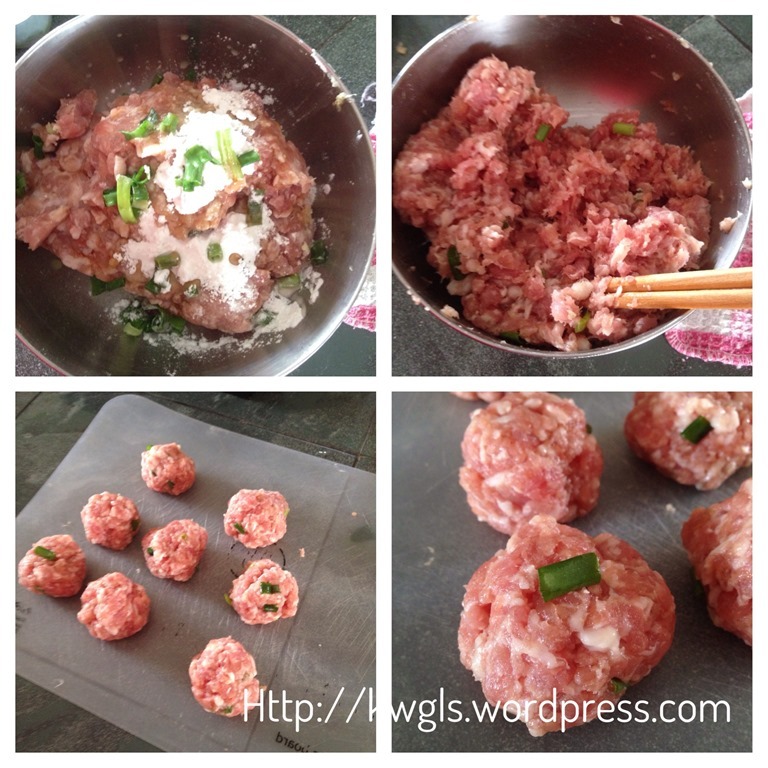 Shape the minced meat into meat balls of your size depending the size of the dough. For me, I use the ratio of 1:1, meaning 30 grams of dough wrapped against 30 grams of meat ball. But feel free to change to the size that your comfortable with. 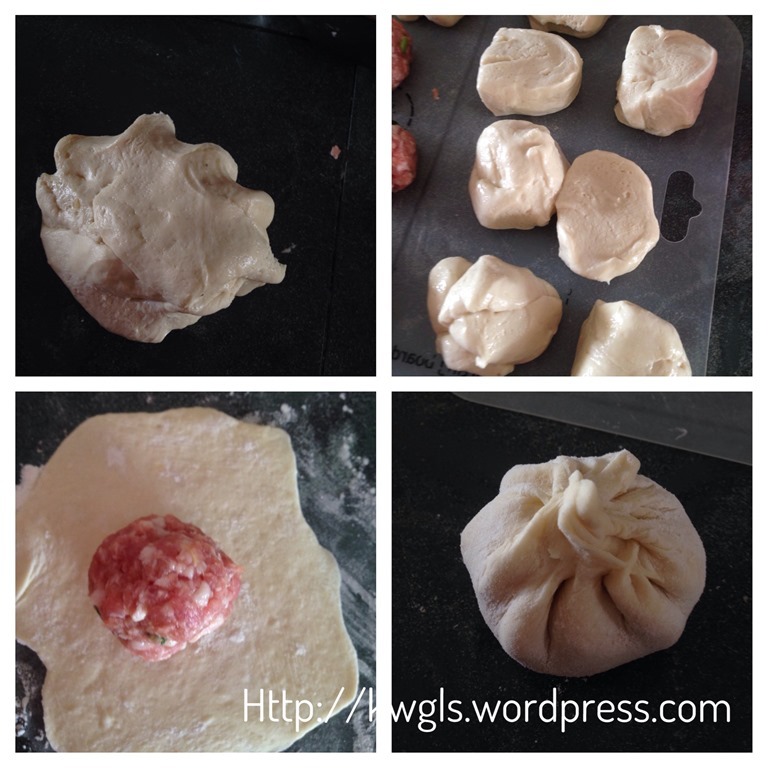 Once the dough is ready, divide it into the equal number of dough as the meat balls. 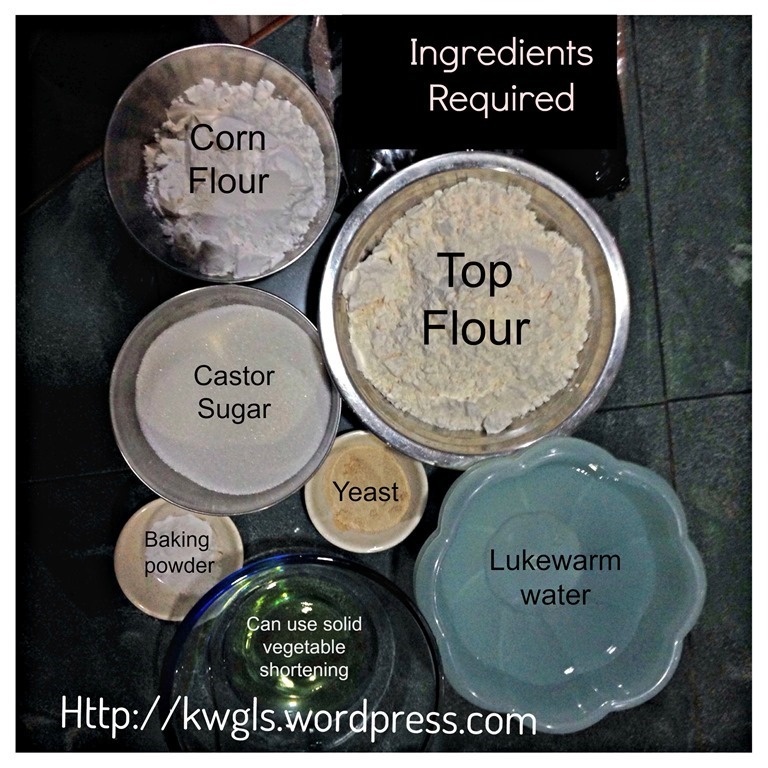 My dough weigh about 50 grams each. Flatten one ball and put a meatball. Seal the end of the dough. In a flat frying pan, heat some cooking oil under medium heat. 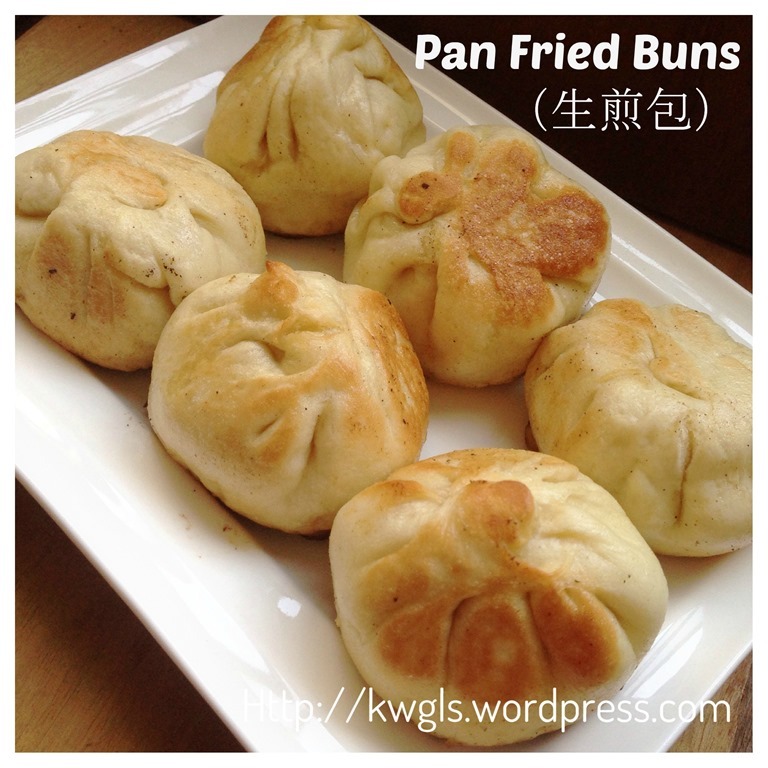 Put in the meat buns and pan fry until the bottom turn golden brown. Once it turn golden brown, add some water and close the lid. The amount of the water to be added will be about 1/3 of the height of the buns. After 2 minutes, open the lid, sprinkle some sesame seeds (if desired) and let it cooked until the water dries up. 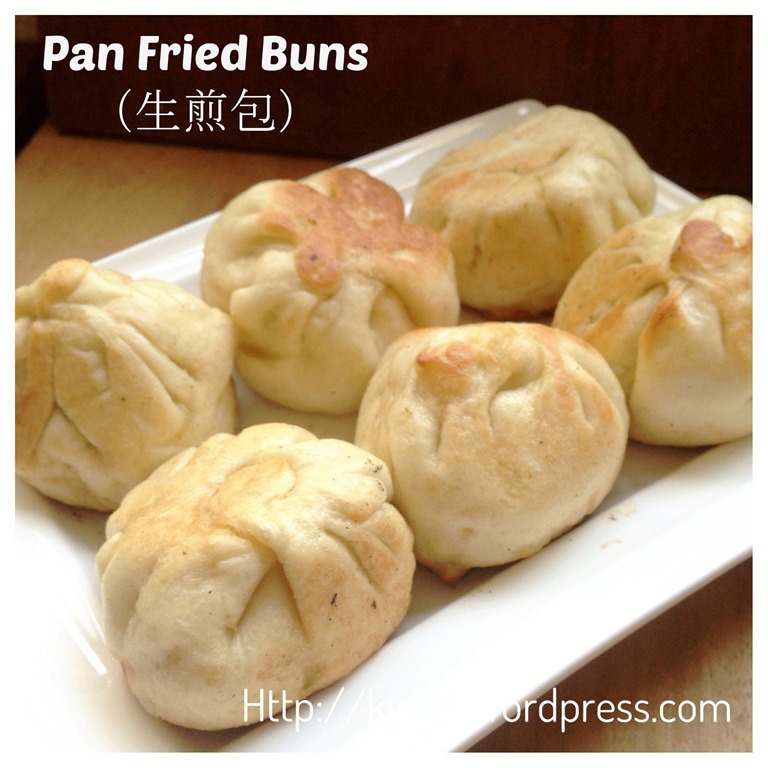 Once dries up, the buns is considered as cooked. Best served hot with Chinese black or red vinegar with chopped ginger. I shouldn’t have pan fried the side of the buns as these make my buns looks rather dirty. In addition, pardon me for the poor shaping skills. However, I am sure you can shape better than I do.. 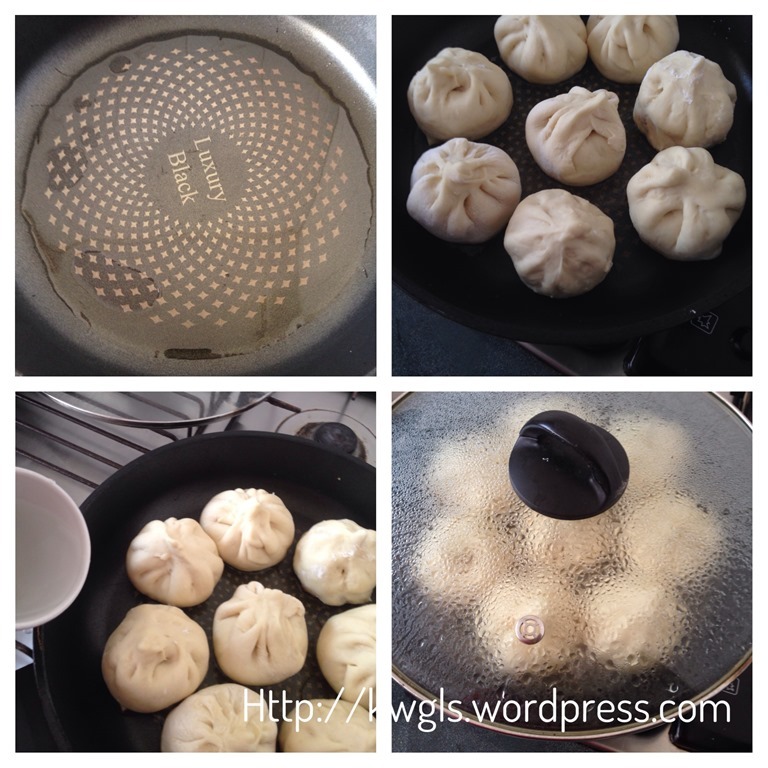 This entry was posted in Chinese and Asian Cakes and Snacks, Food Preparation Series and tagged 8, 生煎包，生煎馒头, GUAI SHU SHU, Guaishushu, kenneth goh, Pan fried Buns, postaday, Shengjianbao. Bookmark the permalink. Yum!! 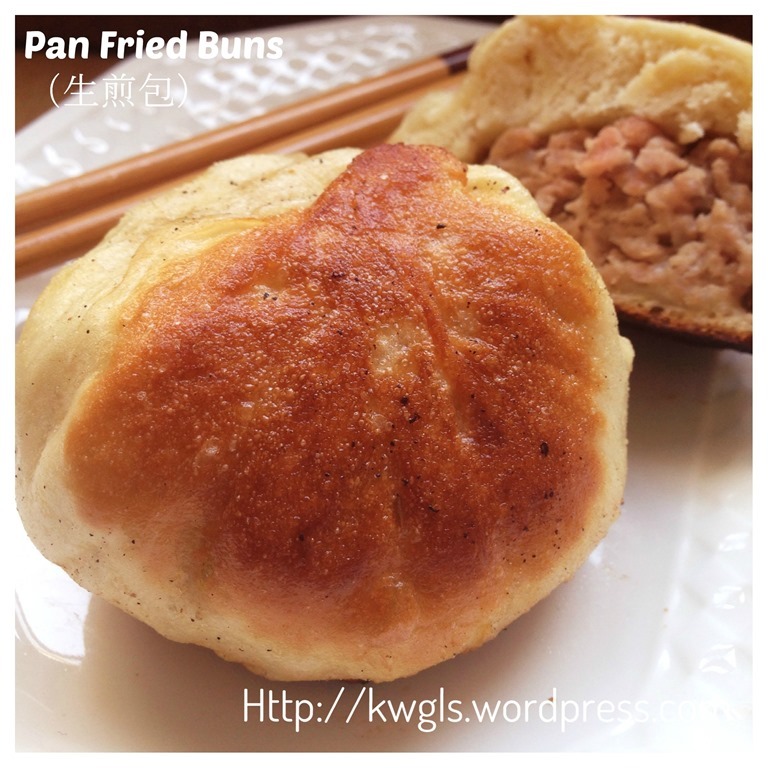 It’s like a meat filled dumpling – can’t go wrong with that! They look delicious! Thanks for sharing on Saturday Night Fever!